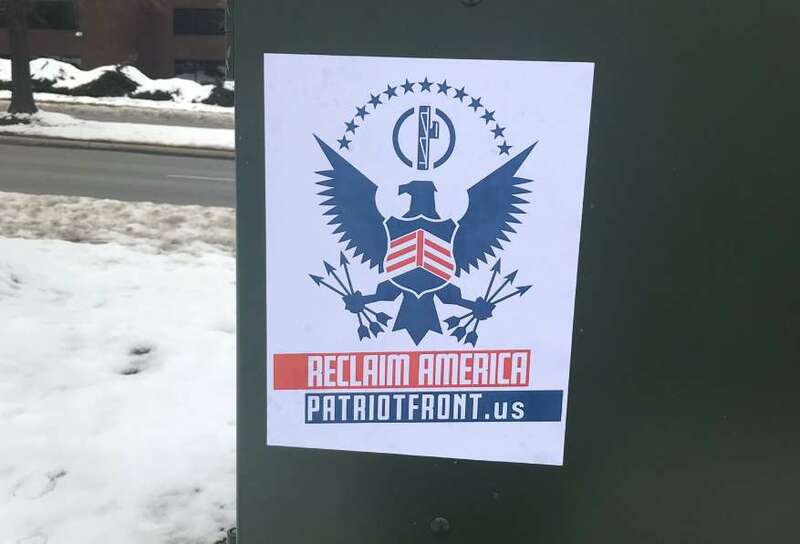 Posters appeared yesterday in Herndon for Patriot Front, identified by the Southern Poverty Law Center as a white nationalist hate group. 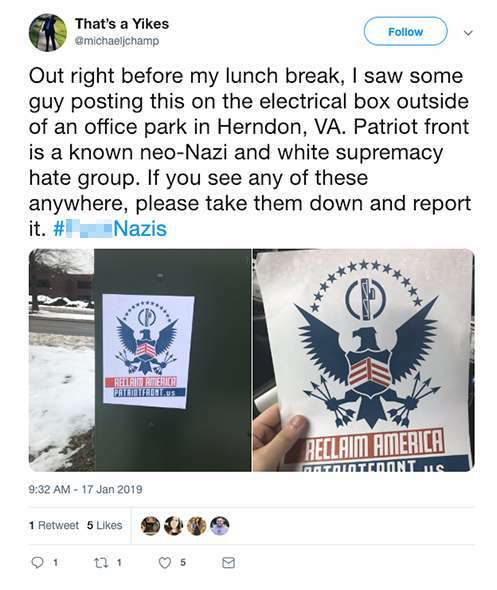 Patriot Front tweeted that its “activists” put up the posters around Herndon. Last week the group said that it also put up posters in Reston. 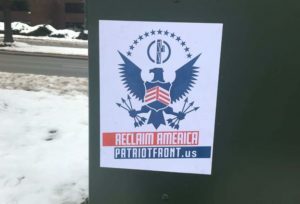 The posters include slogans like “reclaim America” and “better dead than red.” According to the Southern Poverty Law Center, Patriot Front broke off from the alt-right group Vanguard America in the aftermath of the deadly “Unite the Right” rally in Charlottesville, Va.
A spokeswoman for the Town of Herndon told Reston Now yesterday that the town does not have any information related to the posters.